Jonathan Reichental, the chief information officer of Palo Alto, California, will resign next month, he confirmed to StateScoop on Monday. 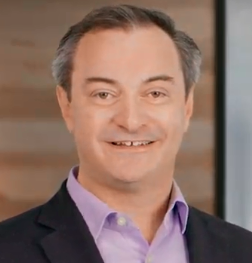 Reichental will step down Dec. 14 after more than seven years as the city’s top technology official to take a role as the “global industries solution lead” with the software giant Oracle. Having started his career in the private sector and having served across a variety of roles, including executive information technology positions with O’Reilly Media and PricewaterhouseCoopers, Reichental will join Oracle after what he calls a “cool detour” in city government that he said made him fall in love with cities and the role government can play in improving humanity’s quality of life. At Oracle, Reichental will help the company develop a clear “go-to-market strategy” for the public sector. Oracle, which claims to have more than 500 government customers for its cloud platform alone, is one of the major players in the government enterprise IT market. But Reichental said the company is now in the process of tightening up its strategies in all markets, including government. While he said it’s too early to judge what precisely he will be doing at Oracle, Reichental said there are inconsistencies in the discourse around government technology generally. In Palo Alto, a city with a median income of $137,000, Reichental may not have been on the front lines of human misery, but his advancement of urban technology policy and project leadership could be said to be a testing ground for new ideas in government technology. In an interview last year, Reichental shared a list of more than 25 technology projects that he said positioned the Silicon Valley city with a population of roughly 70,000 as a template for other cities around the country to learn from and model themselves after. Reichental is credited with leading include Palo Alto’s non-emergency service called PaloAlto311, a public Wi-Fi network, an open-data platform, public kiosks in the downtown area, a smart electric grid, Facebook chatbots to answer the public’s questions, air quality sensors and several other projects that use environmental sensors. In an interview with StateScoop in June, Reichental outlined the city’s renewed pursuit of a vendor to build a citywide fiber-optic network. He estimated that such network with “fiber-to-the-node” resolution could be built for just $15 million. He also oversaw the launches of the city’s cloud and mobile strategies, the modernization of the city’s network infrastructure and a “massive focus on digitization” that has led to more than 60 city services being made available online. Reichental likened his 33-person IT team to a “project machine” that can reliably churn out projects on time and on budget. Reichental’s replacement has not yet been named, but he said he expects an acting CIO will soon be named, with a formal search for a permanent successor to begin in 2019. He also said he informed City Manager James Keene last year of his intention to leave to prepare for a transition.